Below is sample mind map for the ideas explored in Module 2 of ETEC 522. After working through Module 2 you may also find that you have developed your mind map of key concepts based on ideas and topics that resonate with your experience or needs. That’s good. 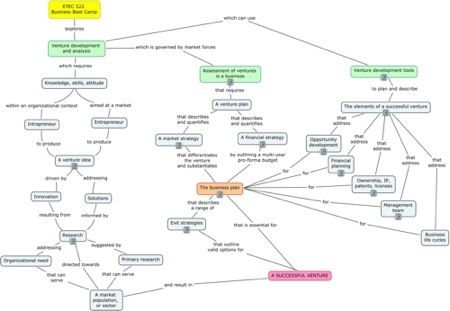 The mind map was created using a free tool kit that is available for all computer platforms from the Institute for Human and Machine Cognition (IHMC) http://cmap.ihmc.us/. The tool kit was designed to assist individuals and groups in modelling knowledge in domains of study or practice. You may find it useful, too.